GREENWOOD VILLAGE, Colo., Sept. 12, 2018 /PRNewswire/ -- Fire up the grill, it's National Cheeseburger Day! Red Robin Gourmet Burgers and Brews is celebrating the iconic cheeseburger with a deal that will make guests melt. 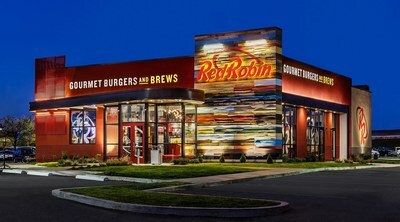 All guests who visit a participating Red Robin restaurant on Sept. 18 can enjoy a signature Gourmet Cheeseburger and Bottomless Steak Fries® for just $5, with any beverage purchase.